Many aspiring gardeners and growers, like me, live in built-up urban environments where having an outdoor garden is more than a luxury – it’s a pipe dream. For those of us that lack the ability to grow plants in the natural elements or want to grow our favorite seasonal plants year round, growing indoors under grow lamps is a practical and often essential option. However, to be successful at indoor growing you’ve got to be prepared to recreate what Mother Nature does so well outdoors. You’ll need to take care of nourishing your plants with nutrients, comforting them with optimal temperature and humidity settings, and most importantly, bathing them in that all-important light so they can carry out photosynthesis and grow to their full potential. Organic seedlings in natural window light. Image via Flickr user D. Sharon Pruitt. Light is an absolute must for plants. Without it, they cannot carry out photosynthesis and produce the energy needed to grow and develop. Without enough light at their disposal plants will soon perish – and that’s something no gardener likes to see. Luckily, science has taught us exactly how plants utilize and respond to light, allowing growers to create optimum lighting conditions in their homes and cultivate great plants indoors. This is the wonderful world of horticultural lighting – so let’s take a look at how we’ve learned to combine science with nature. Natural sunlight has grown amazing plants outdoors since the dawn of time. However, when the natural route isn’t an option, the artificial route will have to do. The good news is technology and science have given us the ability to grow amazing plants in an artificial setting such as inside your home. Taking our scientific understanding of how plants utilize light, the horticultural industry has developed specific grow lights that are designed to output the exact light plants need. What light do plants need? Plants can only utilize certain wavelengths of light emitted by the sun. This specific wavelength range, which is often referred to as Photosynthentically Active Radiation (or PAR for short) falls within the 400 nanometer (nm) to 700nm wavelengths. All light emitted between 400nm to 700nm can be absorbed by plants and utilized for photosynthesis, with the exception of green light (that has a wavelength of about 510nm). Plants have no use for green light and instead reflect it, which is why our human eyes see an abundance of green out there in the natural world. In order to absorb light for photosynthesis, plants need the help of cells known as ‘photopigments.’ Plants have six photopigments but of these, the photopigments Chlorophyll A and Chlorophyll B are by far the most abundant and subsequently; the most important. 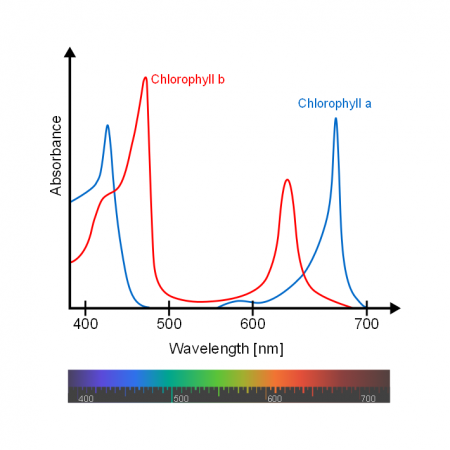 Both Chlorophyll A and Chlorophyll B absorb light with the highest efficiency in the blue (in particular 439nm and 469nm) and red (in particular 642nm and 667nm) wavelengths. Because of this, grow lights are manufactured to put out plenty of plant-usable blue and red spectrum light, boosting photosynthetic activity and ultimately boosting growth. Although plants are highly efficient at absorbing both blue and red light, each spectrum has a different effect on plant growth. Blue spectrum light is best utilized by plants during the early and vegetative stages of development. It encourages healthy leaf growth and giving plants an abundance of blue spectrum light during the first few weeks of their life will spur vegetative growth. Red light, on the other hand, triggers the plant hormones responsible for inducing flowering and fruiting. Bathing your plants in red light during their productive stage will increase the growth of flowers and fruits and will maximize your overall yield. Metal halide grow light. Image via Green’s Horticulture. What does all this have to do with grow lights? Equipped with the knowledge of how plants respond to light and what wavelengths they respond to during certain stages of development, horticultural lighting manufacturers have been able to make lighting perfectly tailored to growing plants. The two types of high intensity discharge (HID) grow lamps, for example, are designed to emit primarily blue spectrum (metal halide lamps) or red spectrum (high pressure sodium lamps) light. 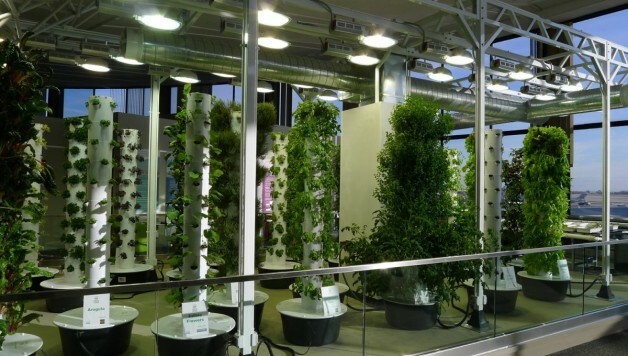 Smart indoor gardeners will take advantage of this and use metal halide lighting for vegetative growth and then switch to high pressure sodium lighting to when it’s time to see those beautiful flowers and fruits. Regular lighting, such as a kitchen light, bedroom light, or reading light, does not care for your plants or the light they respond to. 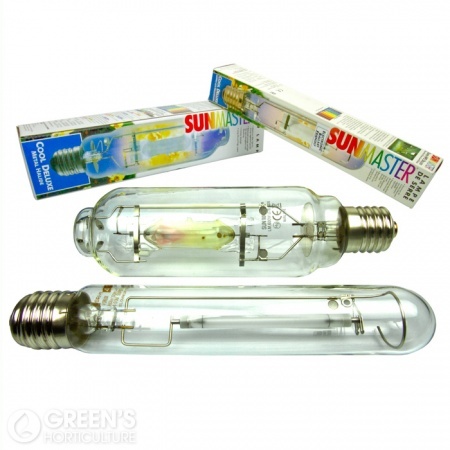 It isn’t designed to help your plants get the light they need during different stages of development and therefore it isn’t that great for growing healthy plants. In this day and age horticultural grow lights come in many forms. 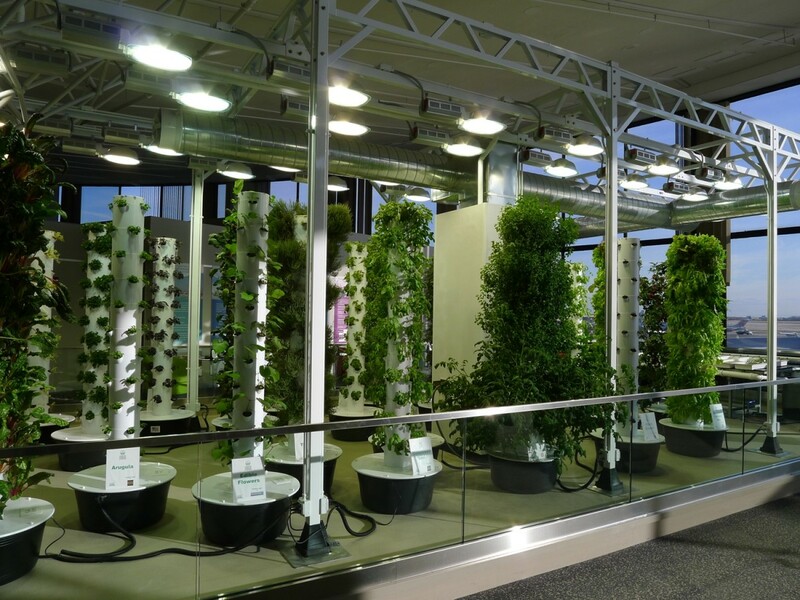 The various lighting used for growing plants includes established types like HID lights, fluorescent / compact fluorescent lights (CFL), and relative newcomers to the market like light emitting diode (LED) lights, sulphur plasma lights, and induction grow lights. Without getting into too much detail on each of these lighting types (we’ll save that for another post), they all serve the same primary purpose – to give plants the light they need to survive and thrive. So, when you want to grow your favorite plants all year round but can’t control the seasons, or when you want to grow any plants at all but don’t have the luxury of a garden, grow lamps can be an indispensable friend. With horticultural lighting the growing power of photosynthesis is well and truly in your hands.